Despite delaying a decision at last week’s AGM, AMP still has its NZ arm queued for surgery. 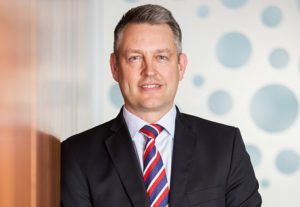 The hastily-appointed stand-in AMP chief, Mike Wilkins, told investors last week the review of the conglomerate’s ‘manage for value’ units – including NZ financial services, life insurance, and ‘legacy’ business – would “continue to progress”. However, while AMP was to announce the fate of these non-core assets at the AGM Wilkins said “we are currently prioritising the performance of the business, board renewal and the appointment of a new CEO”. Behind the scenes it is understood AMP has appointed an investment bank to decide the fate of its NZ operations (which excludes AMP Capital) with a sale one of the likely options. Blair Vernon, head of AMP Financial Services NZ, declined to comment on the rumour other than to confirm talks were “progressing” with no new formal decision date set in stone. But he said AMP had clearly-signaled the logic for reviewing the ‘manage for value’ business units. He said while NZ was a “great-performing business” it didn’t have the scale or growth profile of other parts of the AMP business. In a 2018 March quarter update to investors last week, AMP figures show the NZ financial services division was flat year-on-year with both investment and insurance units eking out small gains. The results (in Australian currency terms) show AMP KiwiSaver grew a net A$47 million in the 12 months to March 31 while ‘other’ assets under management – which includes life insurance, non-KiwiSaver investment products and ‘mature’ business – climbed a net A$187 million during the period to hit almost A$11.3 billion. Vernon, though, is fighting fires on a couple of fronts. As well as the ongoing corporate uncertainty, AMP is facing intense scrutiny from regulators here following revelations in the most recent round of the Australian Royal Commission (RC) into financial services. The RC hearings, which found AMP had lied to the regulator among other charges, triggered a crisis at the storied Australasian financial services firm that ultimately claimed a CEO, Craig Mellor, and most of the board. In a fractious AGM last Thursday, AMP also faced the biggest shareholder revolt in Australian history with more than 61 per cent rejecting the group’s remuneration plan. Wilkins noted the vote was “advisory only” but represented a ‘first strike’ against AMP. Under the ASX ‘two-strike’ rule, if more than 25 per cent vote against a remuneration proposal at two consecutive AGMs, shareholders can then vote for a board ‘spill’, where all directors must stand for re-election. While the corporate machinations may have little direct effect across the Tasman for now, Vernon has been asked by regulators here to prove how AMP NZ follows different practices than its Australian parent admitted to the RC. He said the regulatory pan-industry information request was “entirely appropriate” given the public interest. “We welcome the opportunity to demonstrate the integrity of our business and operations and the many ways in which we protect the financial wellbeing of our customers,” Vernon said in a statement last week. Specifically, he said AMP practices that caught the attention of the RC in Australia such as differential pricing on investment platforms and products, conflicted ‘buyer of last resort’ (BOLR) arrangements, and hordes of ‘fee for no service’ clients, were not applicable in NZ. For instance, he said the AMP NZ WealthView investment platform was “open architecture” with none of the historical, legal and tax constraints that lock clients into administrative vehicles in Australia. Currently, about 60 per cent of WealthView flows – which come via AMP-associated and non-aligned advisers – end up in house products. However, he said AMP doesn’t set preferential pricing for its own products on WealthView. While AMP does control the platform approved product list – which uses Mercer as investment consultant – Vernon said, again, house products get equal treatment. He said the ‘fee for no service’ issue was also not so relevant to NZ markets. The 2013 Future of Financial Advice (FOFA) legislation included provisions requiring firms to turn off fees for clients who do not receive relevant services. Under FOFA, ‘legacy’ clients are deemed to enter the new regime once advisers sell their businesses. AMP Australia was found by the RC to have breached these conditions by retaining fees post-FOFA of advisory businesses it had purchased under complex BOLR agreements. Vernon said while FOFA applies only in Australia, AMP’s BOLR arrangements worked differently in NZ. Similarly, Vernon said the AMP advice business in NZ was less complex than its Australian counterpart. AMP advisory business is split between about 220 under the group’s qualifying financial entity (QFE) banner, 30-40 or so employed advisers, and a further 40 plus housed in the third-party AdviceFirst brand. Australia, meanwhile, is composed of about 2,800 advisers crammed in across multiple ‘dealer group’ brands with different histories, philosophical bents and operational practices. AdviceFirst, which most closely approximates the Australian AMP dealer group model, was built on its merits as a stand-alone advisory business rather than a product-pushing front, Vernon said. “Our share of wallet with AdviceFirst is about 55-60 per cent,” he said. Overall, Vernon said AMP NZ has transformed from an almost purely life insurance business a decade ago to a diversified business today split equally between life and wealth management. “Clearly, Australia has an influence and there is a trans-Tasman relationship but we focus on the best interests of our clients in NZ and meeting what is expected of us by our regulators,” he said. After apologising “unreservedly” several times post the RC, AMP has since rebutted some of the allegations in a raft of submissions, including alleged breaches by its advice licensees. The company is also fighting a pair of shareholder class actions lodged in NSW and Victorian courts earlier this month. The AMP share price slumped more than 5 per cent on Friday to $3.73 – its lowest level since the firm ‘demutualised’ in 1997.